There are a lot of stereotypes floating around in our society these days. For gamers it’s the classic, ‘over-weight man clad in white vest stained with coffee, pizza sauce and Mountain Dew playing games, alone, in his dingy bedroom’. I would like to believe that there are very few people out there in this bright, wonderful world, that actually exist in such a way – but I’d imagine there are a few. Gaming, however, doesn’t have to be an anti-social experience. Why, some of my fondest gaming memories stem from playing them with my brother, or my dad, or my friends (or all of the above). Be it storming objectives in Battlefield 3, scoring left footed volleys from 40 yards out on FIFA or building grand castles from blocks of glass in Minecraft – I truly believe that solo-gamers are missing out on a lot of co-operative fun. So, in that spirit, here’s my five all time favourite games to play with others. What’s that you’re asking? “Why, Alec; there are so many Call of Duty games, what made you pick number two?” Well, intrigued reader, I’ll tell you. It’s because the second Call of Duty was the best. Hands down, it gets no better than this. A good friend and I used to play Call of Duty 2, back in the day, on our old 20GB Xbox 360s. We were an unstoppable online team. We’d rack up the headshots with the Kar98k and tear people a new one with the PPSh – Rambo would literally eat his heart out. The reason that I loved it so much, and prefer it to the other CoDs, is because it’s simple. The teams were small (4v4) and the game modes were uncomplicated. There were no fiddly achievements to struggle to unlock, or unnecessary perk systems, it was all about having fun. And that’s what gaming with a friend is about, having fun … and winning, of course. With the pending release of Army of Two: The Devil’s Cartel on the 26th of March, I’ve come to realise how much I loved this game. To be perfectly honest, I don’t remember much of the story. All I can really remember about the game are a few of the main missions and key boss fights, that and dying a lot. What really sticks in my mind, though, was the fact that I played this with my brother. 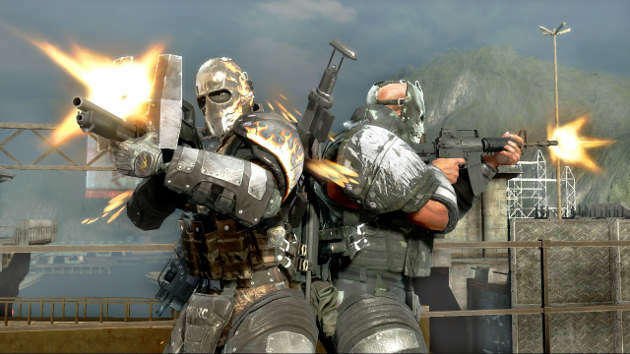 My brother and I love a good game or two, especially if it’s a co-op, and Army of Two is really built to play with a friend. If anything, the game seems sad when you play it alone. I’m pretty sure EA made the AI intentionally unresponsive and generally useless, just so that gamers would be forced to play it with a buddy. 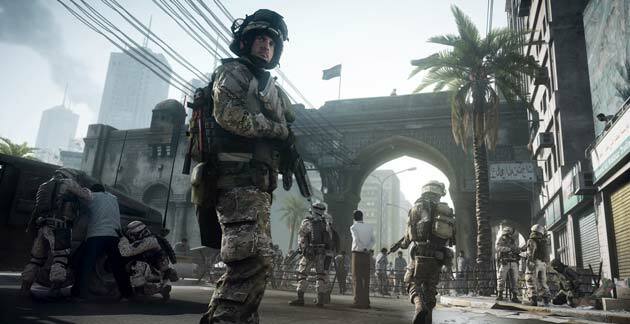 Battlefield 3 has a whole bunch of stuff going for it. 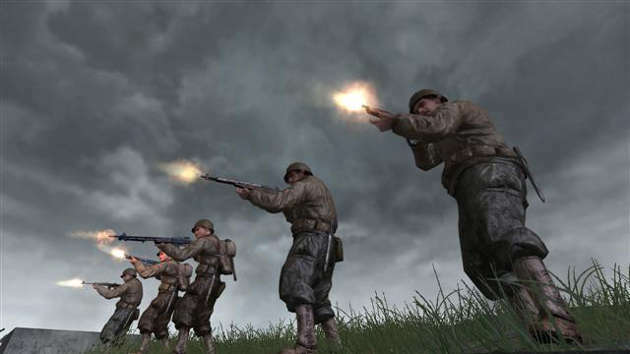 Its single player campaign was surprisingly fun and incredibly well designed, the game is responsive and realistic and you can blow the hell out of buildings – which is always fun. However, where it really shines is in its multiplayer modes. Online play is incredibly enjoyable, just because there’s so much to do. You can play the game in so many different ways that it’s almost impossible to be bored. Have your friend pilot a helicopter whilst you parachute out and capture objectives. Drive a tank whilst your buddy plays ‘let’s make that guy a colander’ with the mounted machine gun or bale a truck into a gas station and kill all of your friends onboard – Battlefield 3 is endless amounts of fun. The squad system makes it easy to play online with your friends and even easier to make new friends – as it randomly adds you to a depleted squad. You never know, you might just make a gaming buddy for life. There are so many reasons as to why FIFA 13 is both the best thing ever created and, at the same time, the bane of my life. The online play is one of those reasons … or all of those reasons. I’ve spent many an evening playing ‘Pro-Clubs’ with two of my best friends. If you’re not aware, ‘Pro-Clubs’ is an online game mode where players are able to create a ‘Virtual Pro’ and join a club with other friends. In this club of pros you will be able to pick a position and then play against other teams of like minded gamers. This is both an amazing experience and, I’d imagine, one of the reasons a person might turn to drink. It’s rewarding and frustrating, enjoyable and gut-wrenchingly painful – but it doesn’t half feel incredible when you win. 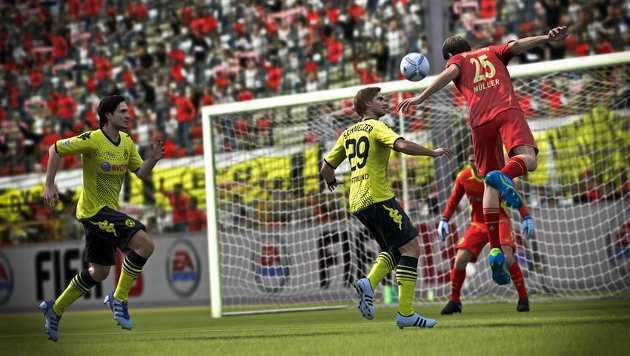 But FIFA 13 is just as fun to play locally as it is online. Grab a few friends together and make yourself a little tournament or sit down with one other person and play against them to your hearts content. I shall warn you though; it will inevitably end in tears, so maybe stick to playing on the same team. 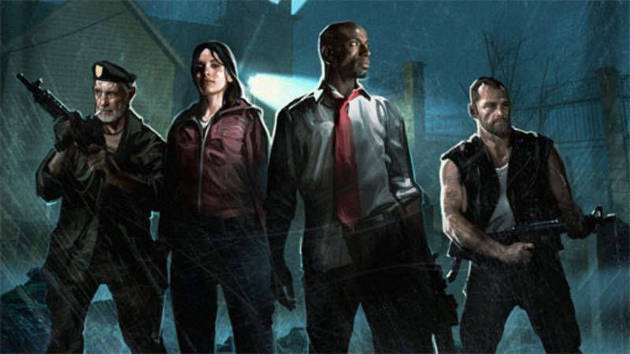 So, here it is – my favourite game to play with others – Left 4 Dead. This game is incredibly well done. It doesn’t profess to be something it’s not. There’s no complicated story arcs or character development, nope – just shooting zombies in the face. Some of my fondest memories come from playing this game online with three of my school friends. We would band together, shotguns and machine guns in hand, and face hordes of the undead – side by side. This led to some of the funniest moments in my gaming history as well as some of the most frustrating. Valve have done such a great job with this game that my old gang has banded together once more and we’ve started playing it again – it’s just that much fun! It’s still as enjoyable and just as frustrating, even 5 years after we initially bought the game. There you have it, my favorite five games to play with others. I won’t lie, there are tonnes of other games that could have been in here and I really struggled to choose the final five. I’m a firm believer that gaming should be a sociable pass time. There’s no need to play a game on your own if you can play it with friends – picking that special someone to sit by your side, grab a controller and play away will really make the experience that much more rewarding. But hey, I don’t profess to be a co-operative gaming guru. These are my favourites but not necessarily yours. Why not edit my list in the comment section below and tell us your favourite games to play with friends. Also, be sure to keep it here at iMG for a full review of Army of Two: The Devil’s Cartel following its release on March 26th!